The pictures of this Columbian Doll were taken by me in 2008 at Lucy's Doll House in Camden, Maine. 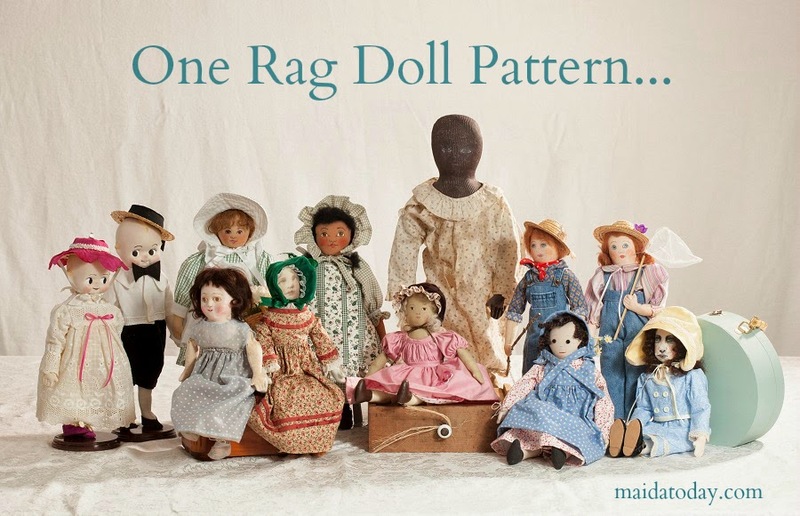 She is a large doll, measuring about 30" in length. 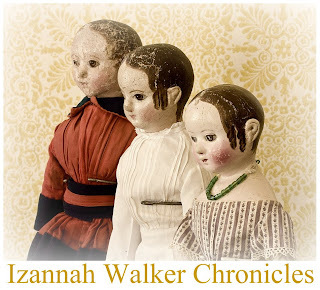 Columbian dolls are interesting to look at, coming a bit later in time than Izannah Walker dolls. I love their chunky bodies, and the texture of the oil paint laid onto the cloth. charming with the pink dress. The construction of the dress shows that cartridge pleating (or gauging) was used to attach the gathered skirt and bodice to the waistband. of the shoulder to the torso. at the bottom front of the torso. Columbian doll heads are interesting in the way the head was gathered rather than using darts to make a round head. This adds to their charm, and to the texture of the face. For those of you who like to make dolls inspired by Emma Adams' creations, here is a closeup of the face. She is beautiful! I like your face very much! WOW! She IS G-O-R-G-E-O-U-S! I think I would like to recreate a Columbian; just love that she is a big doll. Very sweet! I have never even heard of Columbian dolls and never saw one like this. Thanks for sharing this with us. I am having so much fun learning!